يقع Bay Plaza Hotel على أورينتال باريد في وسط مدينة ولينغتون، ويوفر غرفًا مع تلفزيون مع قنوات فضائية وخدمة المشاهدة المجانية وماكينة إعداد شاي وقهوة. ويبعُد مسافة 5 دقائق سيراً على الأقدام عن متحف تي بابا. يضم فندق Bay Plaza Wellington غرفًا مزودة بديكورات أنيقة ومرافق حديثة. وتتميز بعض الغرف بإطلالة بانورامية على الميناء أو المدينة أو جبل فيكتوريا. يقدم المطعم ذو الطراز براسيري والمطل على مرفأ ولينغتون المأكولات النيوزيلاندية ووجبتي الإفطار والعشاء. ويقدم بار الكوكتيل النبيذ الفاخر. يقدم Bay Plaza Hotel Wellington خدمات غسيل وتجفيف الملابس في نفس اليوم وخدمة الغرف على مدار الساعة. ويقع بالقرب من وسائل النقل العام ومواقف الحافلات وسيارات الأجرة في كورتيناي بليس. Great location and very friendly staff. comfortable bed and great water pressure. Only downside wad no air conditioning and room got quite warm. Hotel staff were very friendly. Room was set up well for a group of two with a reading light over the second bed. The hotel was very clean. Tired on most fronts. A pity because location is great. Better value easily found around Wellington. This property is dated however it is clean and tidy basic accommodation in central Wellington at a reasonable cost. The breakfast was overpriced for what it was however the service staff were great as was the reception staff. Arriving at 10pm in winter (pre-agreed) I would have thought the heating could be on. Yes we were looking for a reasonable price but frankly, we would not stay here again, old,cold and tired, needs investment so people will pay a bit more and just a bit of attention to be more welcoming to incoming guests - may as well have been at a backpackers, and may have been warmer! I dont like to give a low review, yes, we had a bed for the night however thats all it was as even the wallpaper was starting to peel off the wall. Room 801. Hope things improve before too long! 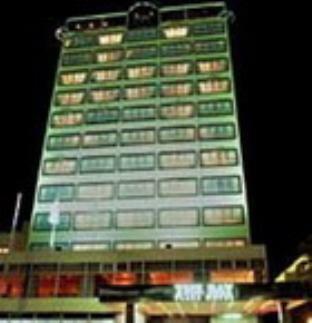 Even though the hotel is a bit older and would need certainly some refurbishment it's a great location to explore Wellington, bar and restaurant streets are close located. Mount Victoria is just nearby. It takes a bit longer by walking to get to the cable car. The dinner we enjoyed there was delicious. Had a room on eighth floor it was quiet and clean with lovely view over harbour. Parking available at a cost. Enjoyed our stay.